Home / Concepts & Thoughts / Iranian Embassy Closure: New Opening in a Greater Regional Game? Since the announcement of the decision by Canada to sever ties with Iran and expel Iranian diplomats from the country, many Iranian-Canadians have found themselves immersed in heated debates over the issue. While these debates seem nearly fixated on the merits and faults of the decision and the potential it holds for the Iranian diaspora, the larger question remains whether the decision is a harbinger of unfolding of greater geopolitical events to come. 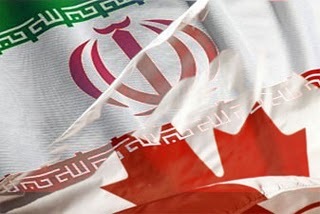 The narrative coming from Canadian officialdom centers on the threat Iran’s leadership and its policies pose for global peace and security and the safety of Canadian diplomats in Iran that can no longer be guaranteed. Other factors cited include Iran’s continued violation of human rights at home and its unmitigated support for the Assad regime in Syria. However, there is a surprise element. The surprise element in the Canadian decision is Canada’s contradictory behavior with violators of human rights in Iran, some of whom have found refuge in Canada with significant funds channeled from Iran to Canada, known among the Iranian diaspora as ‘blood money’. If the closure of the embassy is to demonstrate to the Iranian leadership Canada’s resolve in dealing with a gross violator of human rights on the international stage, why should some of those involved in the very violation of those rights find refuge in Canada and be able to transfer large funds obtained through corrupt practices? But the timing of this abrupt decision should be looked at from a geopolitical angle. This is a critical time in the Middle East, a region still absorbing multiple shocks by the turmoil caused by the so-called Arab Spring whose outcomes have yet to emerge. One of the most critical uncertainties in the region is the inability of regional powers to bring the Syrian crisis to a conclusion or a meaningful phase upon which a new Syrian landscape can be drawn. So far the Assad regime has survived the bloody insurgency against its rule with great ideological and logistical support from Iran, Russia, and China. And the coalition of regional powers bent on unseating Assad (Turkey, Qatar, and the Saudis) are experiencing growing frustration with the inefficacy of their strategy in Syria’s civil war that is getting increasingly bloody and brutal. The closure of the Iranian embassy by a key member of the North Atlantic Treaty Organization (NATO) could herald a multi-step strategy to remove conditions for a possible military confrontation with Iran, or at least pressuring the Iranian leadership to make an about-face in their nuclear and regional calculus. The U.S. and its regional allies have long reached a consensus on the strategic imperative of Assad’s removal from power and its adverse impact on Iran’s ability to project power in the Levant and Mediterranean. Iran is currently under wide-ranging economic sanctions that have affected nearly every aspect of its economy with fast declining oil revenues. So far ordinary Iranians have borne the brunt of sanctions in lack of access to badly needed medicine, medical treatment, and certain food products. With sanctions’ failure to produce any change in Iran’s foreign policy direction and the Syrian state still in power, the next opening in the cold conflict between the West and Iran is more radical diplomatic pressure followed by more sanctions. Just a day after the Canadian decision to sever ties with Tehran, the European Union announced drafting a new round of sanctions against Iran in addition to EU’s oil embargo that went into effect on July 1 of this year. What could the Iranian reaction be? Would Iran start a harassing campaign against Iranian-Canadians visiting their homeland? Would Iran hurt Canadian interests in Afghanistan? Will Iran start preparing public opinion at home for a military confrontation with the West? Canada has taken the lead in launching the first salvo in what appears to be a new round of ratcheting up of tensions in the cold conflict between Iran and the West. The next steps will determine whether this cold conflict will turn into a warm one.